The student will learn the science of heat and heat movement (thermodynamics). They will be taught the types of heat and how heat moves from one place to another. Air conditioning is simply the movement of heat from one place (where it is not wanted) to another place (outside). 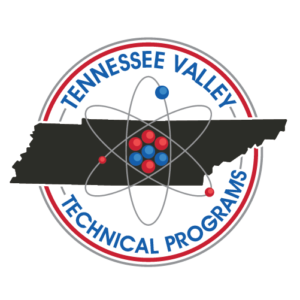 Pressures, vacuums and boiling temperatures will be taught on this first day since pressures determine the temperature of a substance. We explain how refrigerant flows throughout the system. Since we cannot see the refrigerant flow inside the tubing, in order to properly troubleshoot the sealed system, the student must know what is happening inside air conditioning condensers and evaporators as the refrigerant flows throughout the tubing coils. An understanding of the evaporator temperatures and the design condensing temperatures will be gained on this second day. Troubleshooting procedures will be taught. To help the student understand the procedures, a hands-on lab will be a big part of this second day. In much detail, the gauges and temperature meters will be taught. Setting the proper superheat and sub-cool temperatures will be explained and the students will determine the refrigerant charge of a system as they perform the hands-on labs. The student will learn the normal pressures and temperatures of the air-conditioning system. By this third day, the student will understand the refrigerant flow throughout the system. Trouble-shooting procedures using the gauges and the temperature meters will be taught. On this third day, the student will be taught how the air movement on the outside condenser and also air movement on the indoor coil (evaporator) will affect the cooling and operation of the air-conditioner. Each student will perform a lab on trouble-shooting air-movement problems and refrigerant problems. A graduation ceremony and certificates will be awarded to each student at end of the third day.